Were you among those who helped search for Chicky's missing baby egg? The hunt for Chicky’s missing baby egg is over and this calls for a celebration! Chicky will be reunited with her baby at the TriNoma Activity Center on October 12, 2018. 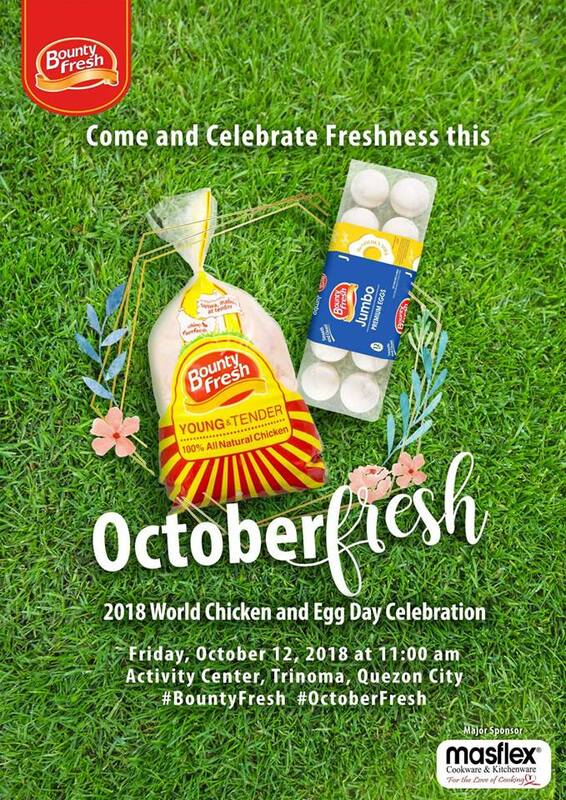 This reunion coincides with World Chicken and Egg Day in the Philippines, spearheaded by the leading Philippine-based farm-to-market poultry producer, Bounty Fresh. The whole “Chickenovela” began when everyone saw how Chicky was happy to share to everyone that she is going have another baby egg. While everyone was getting excited for that time when the egg is about to hatch, it went missing and Chicky got really worried. A lot of people got worried and helped out to find the missing egg, but it was not an easy feat— the egg hunt is on. Those who wanted to help had to do different tasks to find the egg’s location. To help Chicky find her missing egg, she had to make a special call for her baby, like a peeping lullaby. Her friends had to do the same thing with a Beatbok Challenge, where they have sing and cackle Chicky’s call, so that the egg may hear it. While others are calling out, some had to make a move to get closer to where the egg is and danced along with everyone’s call to take on the SWEGG Challenge. With the collective online efforts of SWEGG detectives busting some moves and the persistent Beatbok calls of Chicky’s friends, some clues were revealed the location of the egg, which led them to TriNoma. Now that the hunt is over, a great bounty awaits to those who helped out Chicky in finding her baby egg. There will be fun games and activities as everyone waits for Chicky’s baby egg to hatch and see why it is so important for the mother hen and everyone who helped her. A few outstanding SWEGG and BeatBok detectives will be given some honor for the great help they did in finding the missing egg. Bounty Fresh is bringing World Chicken and Egg Day every year as part of their commitment in offering top quality, affordable, and “Laking Farmfresh” chicken products, bringing happiness to Filipino households. This fun and momentous celebration is also a way of showing Bounty Fresh’s appreciation to its loyal customers for making them the number one choice in every Filipino feast. Yup! Super saya daw nung event. Nalungkot nga ako kse nagka conflict ang sched sa isa ko pa event di ako naka attend. Next year na lang ulit.